Posted on 18/01/2019 by U.N. 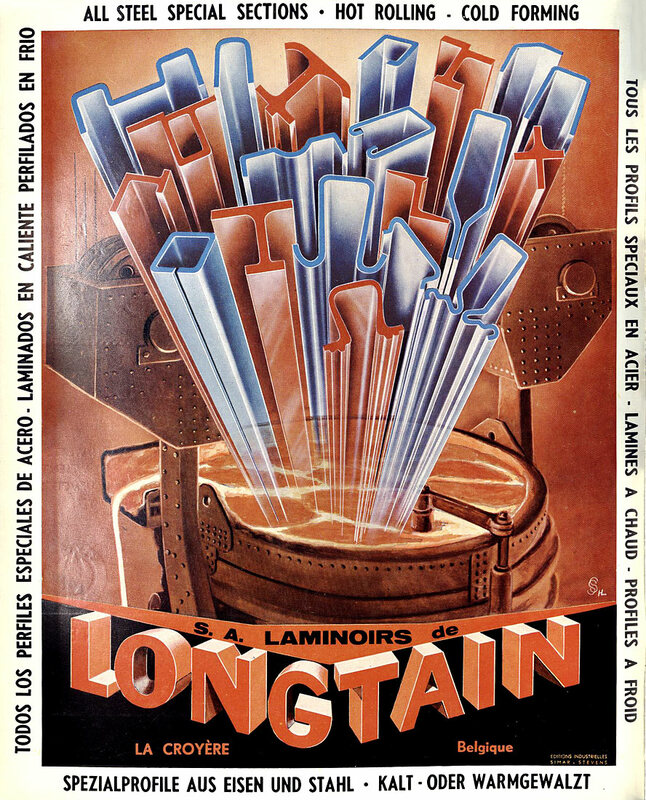 In the late 1950ies when advertising became colored, some ads looked a bit over the top like this one of the Laminoirs de Longtain. The company near La Louviere, Belgium was founded in 1925 and hot rolled steel until 1984. The remaining cold finishing activities were closed down in 2016. The site is now awaiting it’s demolition.